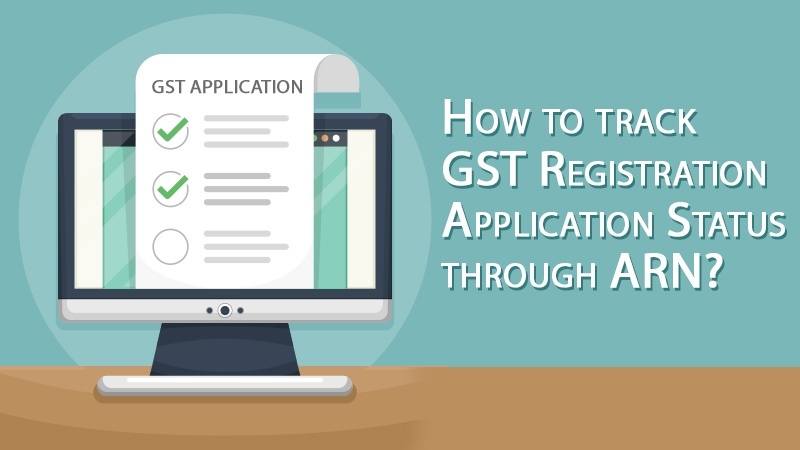 How to track GST Registration Application Status through ARN? The 29th GST Council meeting took place at Vigyan Bhawan in New Delhi on 4th August 2018 under the chairmanship of Mr. Piyush Goyal, the current Finance Minister of India. The exclusive focus of this GST Council meet was thoroughly adhered to simplify GST for SME and MSME sector. With a firm determination for making GST Law as Good and Simple Tax for SME/ MSME sector forming the heart of Indian Economy, the present Chairman of Indirect Tax Committee as well as PHD Chamber of Commerce, Mr. Bimal Jain compiled and submitted the following suggestions to the Government for kind consideration. It advocates the aggregate value of all taxable supplies, exempt supplies, exports and inter-state supplies of persons having the same Permanent Account Number, to be computed on all India basis. This will enable small taxpayers having majorly exempt supplies with only a small portion of taxable supplies to remain out of the net of GST. In fact, it will make the threshold limit of 20 Lakhs more relevant for SME/MSME sector. GST Council in its draft of 46 amendments in the GST Law has proposed to be amended the definition to exclude activities/ transactions listed in Schedule II to ensure that the activities/ transactions as per Schedule II is to decide only whether the same is- supply of goods or services. Thus, activities/ transactions listed in Schedule II (as the supply of service or supply of goods) shall be taxed only when they constitute ‘supply’ in accordance with provisions of Section 7(1) (a), (b) and (c) of the CGST Act, 2017. The definition of the term “Supply” starts with “Supply includes” is too wider a definition and with subjectivity, followed by the inclusive definition. As this is a taxable event in GST, it must be defined concretely so as to avoid any disputes & litigation, as we have past history for the term “Manufacture’ for the chargeability of Central Excise Duty. Additionally, Section 2(30) of the CGST Act defines ‘Composite supply’ as a supply made by a taxable person to a recipient consisting of two or more taxable supplies of goods or services or both, or any combination thereof, which are naturally bundled and supplied in combination with each other in the ordinary course of business, one of which is a principal supply. Suggestion (2): (i) Clarification as to separate consideration – It is suggested that suitable clarification be provided that if separate considerations are charged for various goods and services supplied in conjunction with each other in the ordinary course of business, the same shall also amount to composite supply. (ii) Suitable clarification should be issued to provide certainty for determining whether a bundle of supply is a composite supply and also to determine principal supply therein. In course of the GST amendments, it has been proposed by the GST Council to enable registered manufacturers and traders to opt for composition scheme u/s 10(1) of the CGST Act even if they supply services of value not exceeding 10% of the turnover in the preceding FY in a State/Union territory or Rs. 5 lakhs, whichever is higher. Like manufacturers, traders and restaurant service providers, benefit of composition scheme must be extended to other service providers also. Suggestion: (2) Providing some ceiling for inter-state outward supplies of goods by a composition supplier. Presently, a person opting for composition scheme is not allowed to make any inter-state outward supply of goods. This is creating a bottleneck for the small sector. It is suggested here also that a certain percentage of turnover may be allowed for the inter-state supply of goods for the benefit of SME/MSME sector in the true sense. Penalties in respect of wrongly opted composition scheme, cancellation of registration, etc., must be limited to recovery of differential taxes only without levying hefty penalties/interest considering that the taxpayer under a composition scheme would be a small player. The GST Council has proposed to defer existing Section 9(4) of the CGST Act till September 2019 but, granting an enabling power for the Government to notify a class of registered persons who would be liable to pay tax on reverse charge basis in case of receipt of taxable goods or services from an unregistered supplier. The details of such specified persons are to be notified in future. Operation of Section 9(4) in its present form, if notified for a particular class of persons is not conducive as the registered recipient requires to raise self-invoice, capturing individual HSN/ SAC codes for procurement of taxable goods or services, which is operationally not easing business and should be completely eliminated. 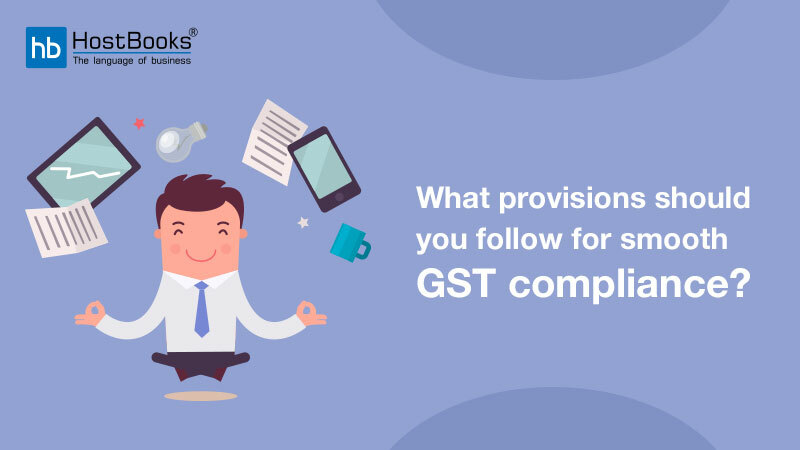 In reference with Section 24(vii) of the CGST Act, persons who make a taxable supply of goods or services or both on behalf of other taxable persons whether as an agent or otherwise, are required to compulsory register in GST. Further, as per 2(5) of the CGST Act “agent” means a person, including a factor, broker, commission agent, arhatia, del credere agent, an auctioneer or any other mercantile agent, by whatever name called, who carries on the business of supply or receipt of goods or services or both on behalf of another”. Though definition of ‘agent’ under Section 2(5), as well as clause (vii) of Section 24, covers only those persons who supply taxable goods on behalf of another i.e. consignment agents, but debate is going on as to whether the commission agents or brokers who merely facilitate a transaction between two parties like procuring orders etc. are also debarred from the benefit of threshold limits of registration i.e. Rs. 20 Lac. It is suggested to issue a suitable clarification in this regard. In terms of Rule 10(3) of the CGST Rules, 2017, where an application for registration has been submitted by the applicant after the expiry of 30 days from the date of his becoming eligible for the registration, the effective date of registration shall be the date of the grant of registration. Further, in terms of Section 18(1) (a) of the CGST Act, a person who has applied for registration under this Act within 30 days from the date on which he becomes liable for registration and has been granted such registration shall be entitled to take credit of input tax in respect of inputs held in stock and inputs contained in semi-finished or finished goods held in stock on the day immediately preceding the date from which he becomes liable to pay tax under the provisions of this Act. Suggestion: Developing alternate mechanism to provide relief of ITC when registration is not applied within 30 days. This provision causes undue hardships for the intervening period i.e. between the date of liability and the date of grant of registration as no ITC is made available on procurements made during such period. Moreover, ITC is also denied for stock held on the day immediately preceding the date of liability to register. It is recommended that alternate mechanism may be developed for genuine cases and registration may be granted with effect from the date of liability if proved bonafide. Further, the credit of stock as on date of liability to register must also be allowed in bonafide cases. Wide powers conferred under this provision is causing harassment to taxpayers especially when there is some error or incomplete details in E-Way Bill. Recently, Madhya Pradesh HC in the case of Gati Kintetsu Express Pvt. Ltd. V/s. Commercial Tax Commissioner of MP & Ors [TS-307-HC-2018(MP)-NT], upheld penalty to the tune of INR 1.32 crore for not filing Part B of the E-Way Bill. 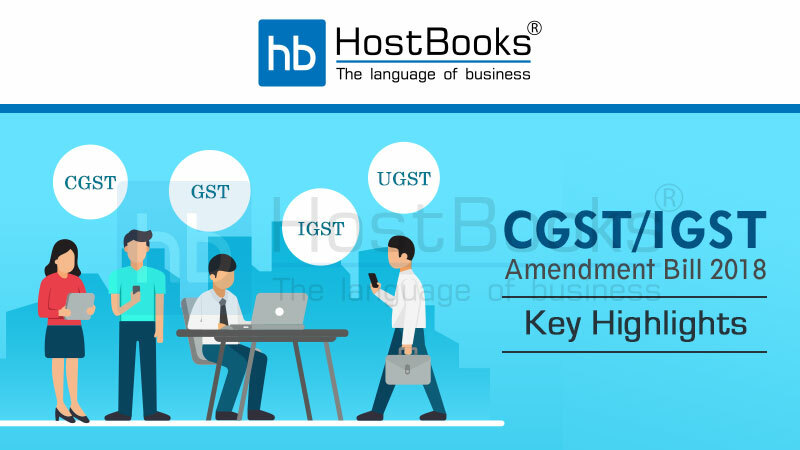 Amending section 129 of the CGST Act suitable provision should be incorporated which allows releasing of goods without levying penalty once the proof of payment of appropriate tax is shown or a mere technical breach is shown. E-Way Bill compliance must be made little easy for small taxpayers up to specified turnover by prescribing simple form with lesser details. 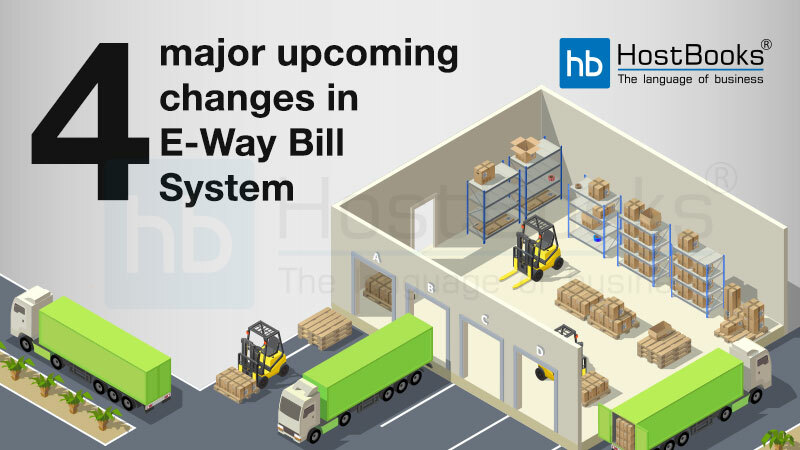 Alternatively, the threshold of consignment value exceeding INR 50,000/- requiring generating of E-Way Bill may be increased to INR 2 Lakh per consignment basis for small taxpayers. Notification No. 12/2017 of The Central Tax dated 28th June 2017 provides that a registered person whose annual turnover in the preceding financial year is less than Rs.1 .5 crore is not required to mention the digits of HSN codes in a tax invoice issued by him. However, in GSTR-1, every assessee is required to give the details of stock sold HSN code wise. Moreover, such small taxpayers are required to mention the 4-digit HSN Code for generation of E-way Bill for the movement of goods, having consignment value more than Rs. 50,000. These divergent provisions and procedures create a number of obstacles towards ease of business for SME/ MSME Sectors. Suggestion: (1)- System of uniformity and synchronization to be adhered for bringing simplicity and ease of business. 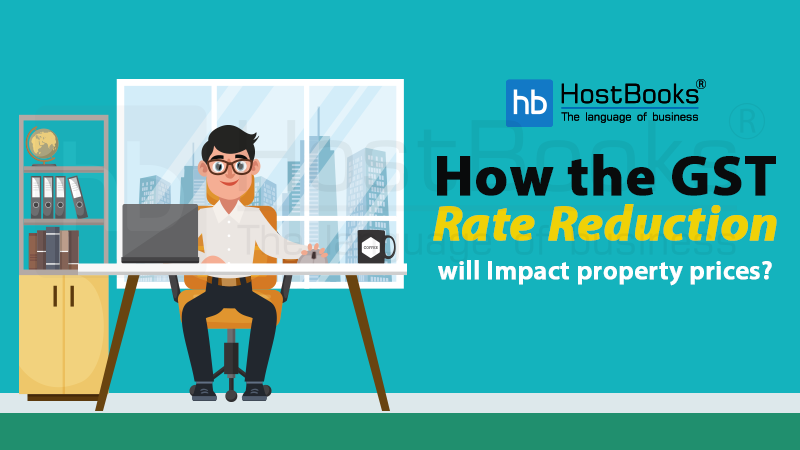 (2)- It is fairly suggested that an alternative way of reporting rate-wise supplies should be established in the new formats of Returns to give a sigh of relief to small traders who are otherwise not required to mention the digits of HSN codes in a tax invoice issued by them. GST Council in its 28th meeting has recommended quarterly Returns for businesses having turnover up to Rs 5 Crore instead of monthly filings. However, tax payment would be monthly. Suggestion: It is suggested that both the processes being interlinked with each other, should be made quarterly for SME/MSME sector instead of the following two different systems for payment and return filing. GST Council has proposed under Section 107(6) of the CGST Act to put a ceiling on the limit of the amount to be deposited before filing an appeal to the appellate authorities which is 10% of the disputed tax amount subject to maximum limit of Rs.25 crores. Further, it is also proposed under Section 112(8) of the CGST Act that the maximum amount to be deposited to file an appeal from the appellate authority to appellate tribunal is 20% of the disputed tax amount along with the amount deposited u/s 107(6) subject to a maximum of Rs. 50 crores. Under Excise and Service tax, pre-deposit @ 7.5% of the tax in dispute at first level and 2.5% at second level was applicable subject to a maximum of Rs. 10 Crores. Keeping such high pre-deposit amount of 10%/20% with a maximum ceiling as high as Rs. 25 crores/ 50 crores will cause undue hardship on innocent assesses having a genuine case and not easing business for SME/ MSME Sectors. N.B. It is suggested that the pre-deposit amount under GST also should be 7.5% at the first level of appeal and 2.5% at the second level, totaling together 10% of disputed tax amount subject to a maximum of Rs. 10 Crores. Prior to implementation of GST, while traders were only allowed a refund of Special Additional Duty (SAD), manufacturers were allowed for the benefit of both Countervailing duty (CVD) and SAD component, creating an encouraging position for manufacturers when compared with traders of finished goods. But, with the advent of GST, CVD and SAD got subsumed in IGST, the credit of which is allowed to both traders and manufacturers. This has brought manufacturers as well as traders of imported goods at par level affecting adversely the ‘Make in India’ initiative of Prime Minister Shri Modi. Resultantly, Indian markets are flooded with cheap imported products, especially from China, causing pain for domestic manufacturers who create enormous employment for Indian population and backbone of Indian economy. As imports of finished goods have become cheaper on par credit available to both manufacturer/ Trader, the domestic manufacturers are closing their operations and impacting adversely towards ‘Make in India’ drive and there is a loss of jobs in small-scale units. Manufacturers of India must be boosted in comparison to their position with traders of imported finished goods. IGST credit on imports should be restricted only to the manufacturer of imported raw materials. Import of finished goods must not be allowed par benefit of credit of IGST to the trader of imported finished goods. This will make the position of manufacturers wiser and encourage as compared to importers. This will accelerate ‘Make in India’ and promote domestic manufacturers too. In the present scenario, only an assesse / taxpayer can file an application with the Hon’ble authority for Advance Ruling. Such an application cannot be filed jointly by an association representing the entire Industry. Considering the rigorous procedure involved in Advance Ruling provisions, the filing of the application on behalf of an association representing its members in a State may be permitted. This will benefit small taxpayers not being able to adopt this route for seeking certainty of their GST issues. Such application can be accompanied by a list of all the members containing their GSTIN on whom such ruling shall be applicable. As of now Form RFD – 01A allows only monthly claim of refunds. Thus, proper GSTN functionality must be ensured for proper execution of the proposed change. (2)- Removing anomaly of no refund on unutilized ITC on capital Goods as against Rebate Mechanism of export made on IGST Payment. The CGST current rules do not allow a refund of ITC on capital goods when zero-rated supplies are made against LUT without payment of IGST, but in case of supplies made on payment of IGST, refund of ITC on capital goods is allowed. It is suggested that such an anomaly must be removed for creating par situations for both rebate and refund mechanisms. In GST amendments, it is proposed that no reversal of common Input Tax Credit shall be required on activities or transactions specified in Schedule III (other than sale of land and, subject to clause (b) of paragraph 5 of Schedule II, sale of building) by excluding it from the ambit of ‘exempt supply’ for the purpose of reversal. Form GSTR-3B has used the term Non-GST supply which is nowhere defined in GST law. GST law only discussed the term ‘non-taxable supply’ to mean a supply of goods or services or both which is not leviable to tax under GST Act [Section 2(78) of the CGST Act]. Like, the supply of five specified petroleum products and alcoholic liquor for human consumption may be termed as non-taxable supply. Then, what constitutes non-GST supply? Whether Schedule III items are being taken as non-GST supply? Clarity in this regard is highly required. A concrete list of activities constituting non-taxable supplies in GST be provided to avoid any confusion as to its inclusion in aggregate turnover and reversal of common credit. Section 35(5) of CGST Act provides that every registered person whose turnover during a Financial Year exceeds the prescribed limit shall get his accounts audited by a chartered accountant or a cost accountant. In this regard, Rule 80(3) of the CGST Rules states that every registered person whose aggregate turnover during a Financial Year exceeds Rupees Two Crore shall get his accounts audited as specified under sub-section (5) of section 35 and he/she shall furnish a copy of audited annual accounts and a reconciliation statement, duly certified, in FORM GSTR-9C. The anomaly of word ‘turnover’ in Section 35(5) viz-a-viz word ‘aggregate turnover’ in Rule 80(3) be removed. Further, clarity must be provided that two crores limit for GST audit shall be determined per State wise turnover rather than taking aggregate turnover on PAN India basis of an assessee. Considering aggregate turnover of an assessee will create a situation where one unit of such assessee having only Rs. 1,00,000 (assumed) turnover shall be required to conduct GST Audit just because the aggregate of its all units are crossing the limit of Rs. 2 crores slab. 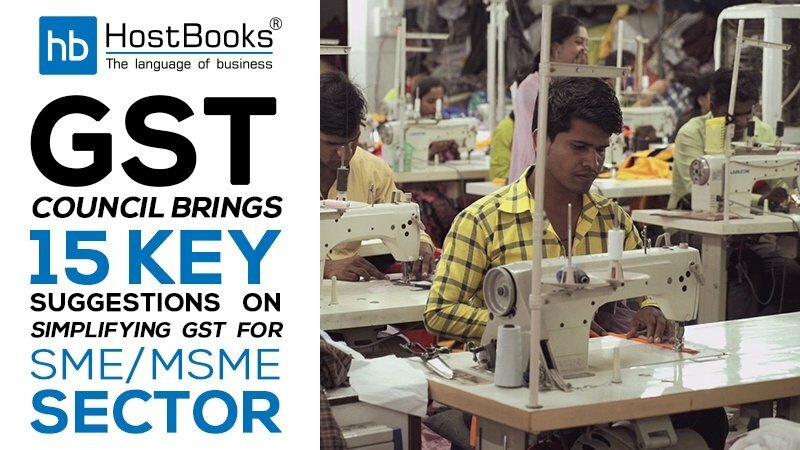 Of course with the implementation of all the aforesaid suggestions in regards to simplifying GST, lots of on-going GST complications will be removed which will help in the smooth operation to SME/MSME sector. your information is very helpful and informative for us.